In worksheet on addition for kids we will enjoy practicing the basic concept on addition in kindergarten. To build a foundation for the concept of addition kids need to practice addition in math. Write in numerals and add. One has been done for you. 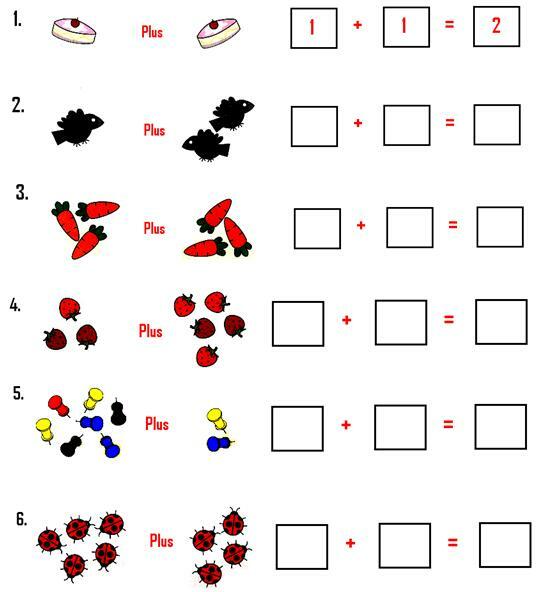 Kids can enjoy practicing this kindergarten worksheet on addition. Parents and teachers can encourage their kids to practice this worksheet, if you have any doubts you can contact us by mail.